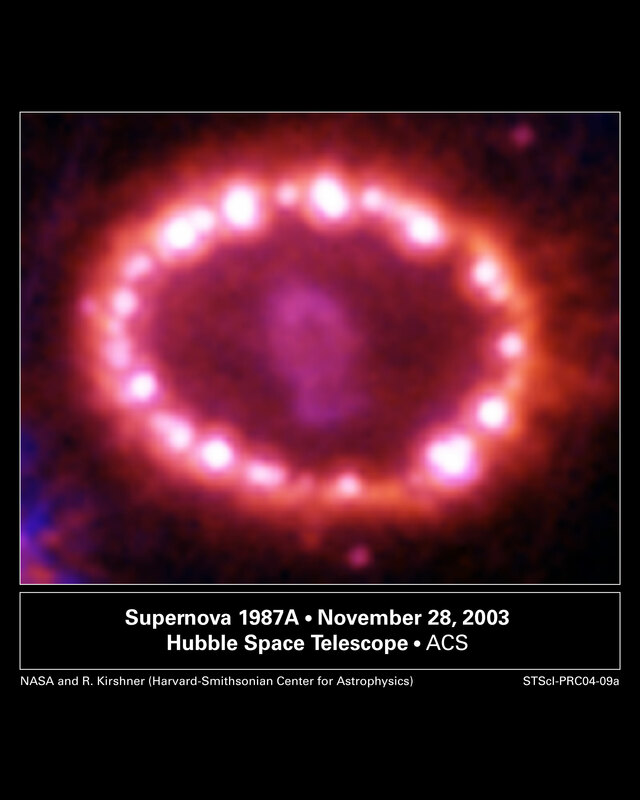 Explanation: In February 1987, light from the brightest stellar explosion seen in modern times reached Earth -- supernova SN1987A. This Hubble Space Telescope image from the sharp Advanced Camera for Surveys taken in November 2003 shows the explosion site over 16 years later. The snap shot indicates that the supernova blast wave continues to impact a pre-existing, one light-year wide ring of material, and the nascent central supernova remnant continues to expand. Like pearls on a cosmic necklace, bright hot spots produced as the blast wave heats material up to millions of degrees began to appear on the ring in the mid 1990s and have been followed across the spectrum by astronomers ever since. 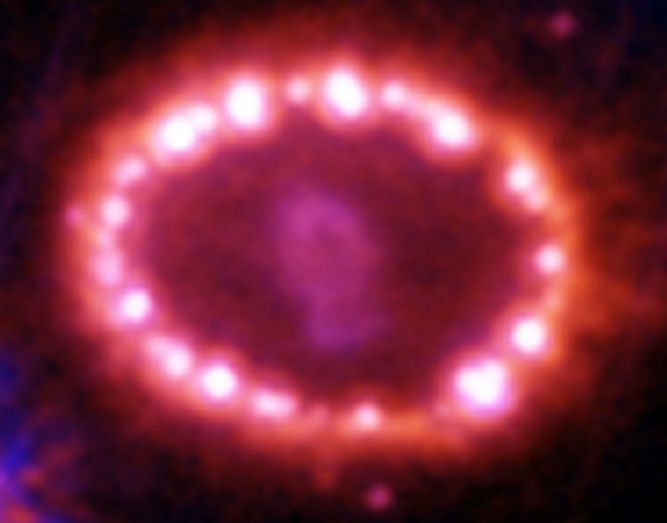 Supernova SN1987A lies in the Large Magellanic Cloud, a neighboring galaxy some 170,000 light-years away. That really does mean that the explosive event - the core collapse and detonation of a star about 20 times as massive as the Sun - occurred 170,000 years before February 1987.